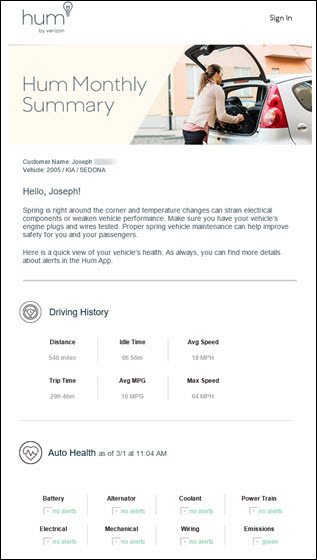 To learn more about your vehicle's health status from the app, website, or monthly summary, view this info. The Hum OBD (On-Board Diagnostics) reader receives diagnostic information from your car to alert you of any potential issues. You can view this diagnostic info real time from the Hum app or the Hum Customer Portal (website). 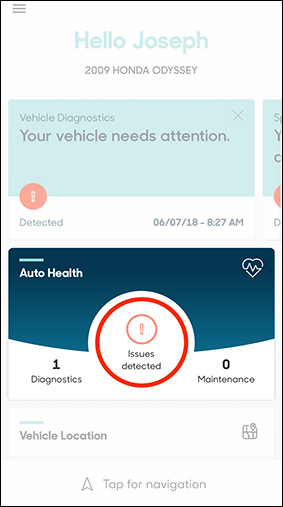 At the beginning of each month, you receive a summary of events Auto Health Report that gives you a summary of diagnostics and any alerts or reminders you have set. From a Home screen, tap the Hum app. 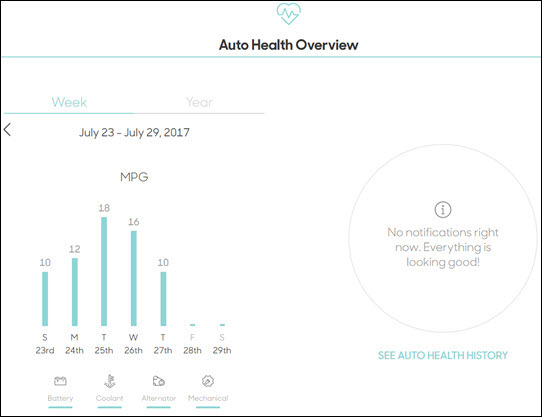 From the Dashboard, locate the Auto Health section. The dashboard displays vehicle status along with the number of diagnostic codes returned on the left and maintenance reminders on the right. Log into the Hum Customer Portal. Click Sign In (upper-right) to enter your login info. View the Auto Health Overview section for specific diagnostics and overall status. Click SEE AUTO HEALTH HISTORY for past error codes and reminders. For additional info, check out these Hum FAQs.